Ontario, CA – The Ontario Reign, proud American Hockey League (AHL) affiliate of the Los Angeles Kings of the National Hockey League (NHL), host the Tucson Roadrunners tonight at 7:00 in preseason action at Citizens Business Bank Arena. Tonight is the second of three preseason contests for the Reign and the first-ever tune-up contest vs. Tucson. In each of the last three home preseason games (spanning the last three preseasons including yesterday), the Reign have skated to a shootout and hold a 1-2 record. All-time in the regular season, the Reign are 2-2 in shootouts. Tonight’s preseason contest is the Reign’s first against a team other than San Diego. 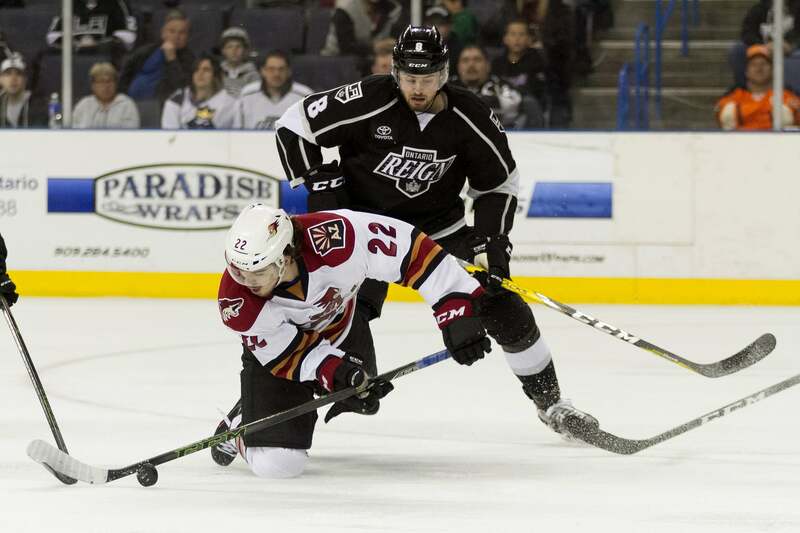 All-time, the Reign are 1-2-0-2 in preseason play. In their first year in the AHL last season, the Roadrunners went 29-31-8-0 and finished sixth in the Pacific Division. The Roadrunners led the Pacific Division early last season with a record of 20-9-4-0 (January 21) before being chased down and finished the year with only nine more wins (9-22-4-0). Of the 27 players on the Roadrunners’ preseason roster, only 10 skated in at least one game with the club last season. Former Reign forward Michael Latta is on the Roadrunners’ preseason roster. Latta signed a one-year, two-way contract with the Arizona Coyotes this summer and skated in 29 games with the Reign last season, scoring six points (two goals, four assists). He was traded by the Kings to Chicago for Cameron Schilling on January 21. The Reign close the preseason schedule on Monday, October 2 against the San Diego Gulls at 7:00 p.m. at Honda Center in Anaheim.